From Galicia. 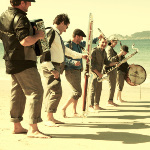 For over 25 years Cuarteto Caramuxo have been developing their imaginative interpretations of Galician folk tunes and rhythms such as muiñeiras, jotas and alalás, updating them with contemporary influences from jazz, pop, reggae or funk and performing them with their unique line-up of accordionist, percussionist and four clarinetists wielding an array of clarinets in all sizes. 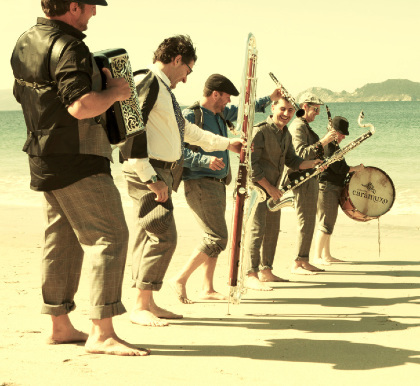 With an award-winning career in numerous theatre productions and educational projects they finally released their first band album in 2009, establishing their unique contemporary take on the folk traditions, delivered with elegant wit and virtuosity.